In today’s episode, we talk about how we help Jennifer overcome fears and create a plan to quickly grow her membership by the end of the year. Jocelyn Sams: Hey y’all. On today’s show, we help Jennifer take her education business to the next level. 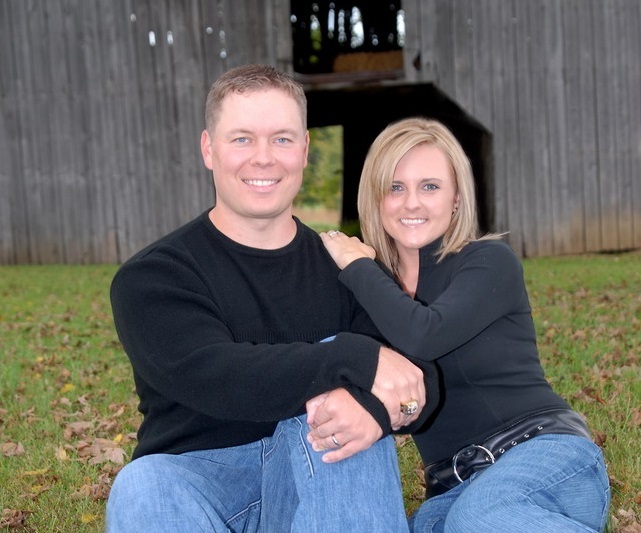 Shane Sams: Welcome to the Flipped Lifestyle podcast where life always comes before work. We’re your hosts, Shane and Jocelyn Sams. We’re a real family that figured out how to make our entire living online. And now, we help other families do the same. Are you ready to flip your life? All right. Let’s get started. Shane Sams: What’s going on everybody? Welcome back to the Flipped Lifestyle podcast. It is great to be back with you again this week. We have a beautiful day in Kentucky and we have an amazing guest. Another member of the Flip Your Life community. On the show today, we want to welcome Jennifer Bradley. Jennifer, welcome to the podcast. Jennifer B.: Thank you so much for having me. I’m so excited to talk to you guys. Jocelyn Sams: It is great to talk to you again. Jennifer is someone we have actually met in real life, which is really exciting. You guys know that I love it when we have people on that we have met in real life. This is a really good show for me. Shane Sams: And I was telling Jennifer off air, we may know Jennifer better than anyone who has ever been on the show because she’s also a member of our all-access mastermind. I literally talk to Jennifer every single day on Voxer. Jocelyn Sams: And we chose Jennifer to be a part of the podcast because she is a community member who believes in posting her success. Shane Sams: And taking massive action in her business. Jocelyn Sams: When we look for people to be a guest on the podcast, we look for people who are really taking action, who are letting other people know about the successes that they’re having. And that is why she’s here today. Jocelyn Sams: Let’s jump into a little bit of that. Start out by telling everyone about who you are and a little bit about your background and your business. Jennifer B.: I’m Jennifer Bradley and I’m from Michigan. I have three little kids at home. Ages seven, four and two. And then I’m married to my high school sweetheart. My business is I’m a speech therapist. I started out selling on a third-party platform Teachers Pay Teachers. I’d just sell therapy materials that I have created. I recently, about a year ago, turned it into a membership platform. I have all of my therapy materials in one area for speech therapists to use. Shane Sams: And how has that gone? I know a lot of people that is a scary transition. They’ll go to a third-party marketplace, they’ll make a little money online, whether it’s putting a book on Kindle or selling something on you-to-me or in another place like that. Then it’s like, “Oh, man. If I go offline, how am I gonna find customers?” All that thing. How’s your membership going? Jennifer B.: It’s going great. At first, it was a little scary. A little bit daunting to have my own website and send traffic there. But I’m really seeing the benefits now because I own it and as a third-party website I’m on there and I have no control of changes that are made. Since I’m always selling one-off products, I have to continuously sell and sell because most of my products range from $3 to $10. Where the membership is growing now, I’m having members and I’m in charge of my own destiny. It’s been an amazing transition. Shane Sams: How many members do you have now? Jennifer B.: I have 380 members now. Shane Sams: Oh my goodness. That’s insane. Jocelyn Sams: Yeah, that’s awesome. Shane Sams: Just think about what you said out loud. We don’t get too far into numbers for people, but I’m gonna paint the picture here for everybody. What if you had 380 people paying you 25 bucks a month or 50 bucks a month or 100 bucks a month. That’s a crazy amount of customers and really all they’re doing is logging into a community and getting access to your resources, right? Jennifer B.: Mm-hmm. Yeah. They just log in. They have access to all my therapy materials that were on TpT. Shane Sams: But we sat down at Flip Your Life Live last year and I worked with you at our table for a little while. You were telling me so many amazing things that I hear from so many people, “Oh, my gosh. I was afraid.” You had something making money. This third-party marketplace. It was making good money too, right? Shane Sams: And you’re like, “Oh my gosh. What if I stop promoting that? Is that gonna die? Am I gonna give up a good thing? A bird in the hand is better …” All those fears that we have. I remember we were talking about your promotion strategy and you were still really promoting even the third-party marketplace. I looked over and I’m, “But the membership’s making as much money as that. Why would you just not promote the thing that’s passive and create stable predicable income?” And we were like, “Yeah. That’s probably what I should do.” Right? Jennifer B.: Yeah. I needed you to knock some sense into me because I was only pretty much promoting TpTs little one-off sales. Since starting to work with you guys, I have gone up almost 100 members in a month. I needed that. Jocelyn Sams: Okay. That’s awesome. Shane Sams: That’s why we love bringing success stories on because most of the time people know what to do and they do just need to talk it through with somebody and see the fork in the road and be like, “Yeah, I’ve been down this road 100 times. I’m telling you, it’s the right thing.” But the most important thing is you actually took action on it. That’s why you got 100 members in a month is because you said, “Yeah. That’s the path I need to go down. I just need to hammer down on it.” And that’s what we love about you, Jennifer. ‘Cause you put in the work. You do what it takes. It takes some risks. It takes a little discomfort at times to make it to the next level. Shane Sams: We were just meeting with our live event coordinator for next years live event. We were like, “Could we double or triple the amount of people who come to Flip Your Life Live?” I looked over at Jocelyn and I said, “This feels really scary. Though, it’s probably right.” That’s where you were. Do I go all in on the membership and leave behind what got me here to get to the next level? And that was scary, wasn’t it? Jennifer B.: Yes, it was very scary. Because TpT was a big income for me. To just let that do its own thing without promoting it was a very big jump. But it’s been working out really well. Shane Sams: Now, you’re full-time online. I know you do go in to the school every once in a while just for a couple hours to keep your toe in the water, but you are full-time online correct? Shane Sams: Well, I just want to first, before we got on, ’cause we’re gonna try and help you get to the next level. That’s always our goal. There’s always a next level. There’s always a way to raise the bar. But congratulations for flipping your life because it takes a lot of energy and effort and courage while you’ve got three kids under the age of seven at home to do what you’ve done. And we never want to shortchange that. It’s so easy to get complacent and it’s so easy to always look ahead. But sometimes look back and say, “Wow. I’ve done something that 90% of people are not doing.” And you’ve done a great job of that, Jennifer, so congratulations. Jennifer B.: Thank you. Thank you. Jocelyn Sams: I think that it’s important to recognize that Jennifer didn’t wave her magic wand to make all this happen. There was a lot of hard work and energy that went behind it. But I think that in hindsight you would say that it was worth it. Jennifer B.: Oh, yeah. Definitely. I didn’t watch TV for three years, but it paid off in the end. 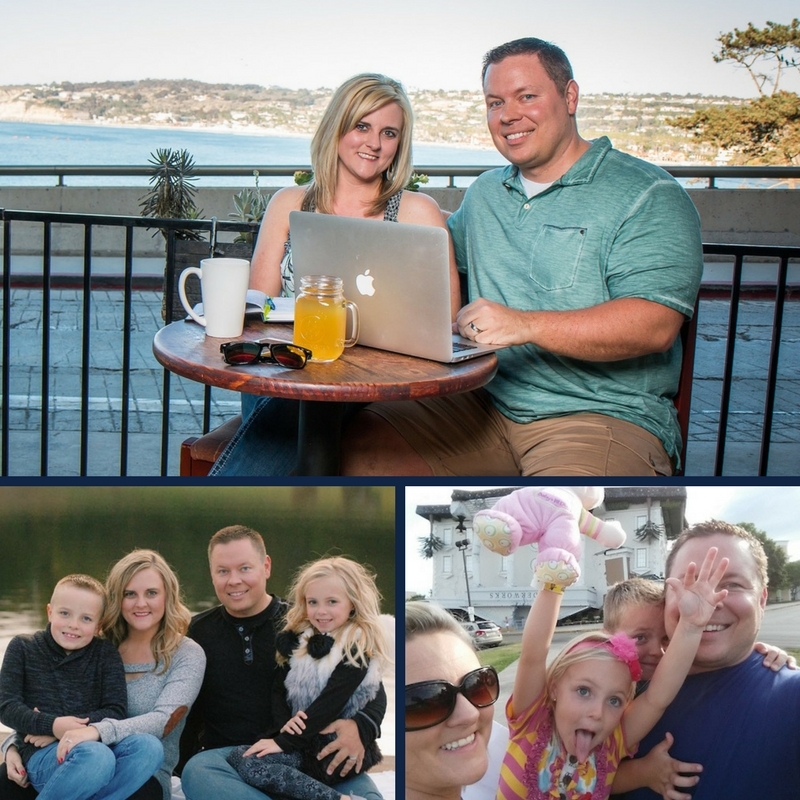 Shane Sams: What brought you to the Flip Your Life community? Jennifer B.: I heard you guys on Pat Flynn. I had been a part of another membership community to grow memberships. It was a great community, but it wasn’t as family focused. It was more technical focused. I liked that you guys had the technical part but also you were a family. You were a husband and wife team. It was very focused on the community and the members helping each other and I really liked that aspect of it. 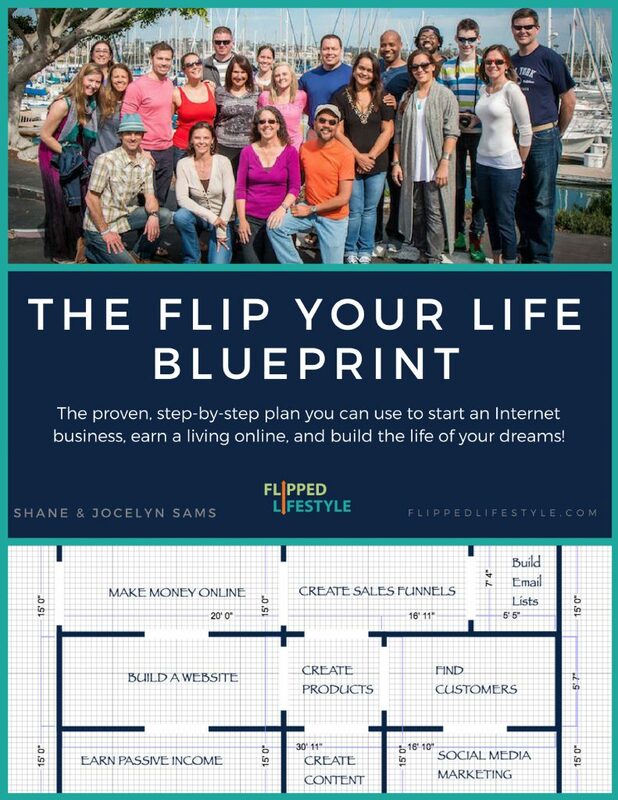 Shane Sams: You know, that’s one reason we started the Flip Your Life community in the first place. Because when we were out trying to start our online business, we found the same thing. We found a lot of courses. We found a lot of people telling you how to do things. But we didn’t find anywhere where we felt like people were focused on the real issues that were holding us back. The things that held us back were not we couldn’t grind though and figure out WordPress or we couldn’t grind through and figure out how to take payments for a product. Those are all solvable issues. It was we’ve got a four-year-old and two-year-old and they’re screaming while we have 30 minutes to work. What do we do? We had to stumble through all those problems ourselves and when we decided to start teaching this, we were like, “That’s where we need to focus our energy. Helping people deal with the real issues that hold them back. Shane Sams: It’s why we love people that come on with three, four, five, six, even seven kids. Because it just proves out there, look, Jennifer has three kids. Jennifer has a life. Jennifer was working. She built a business online. There you go. Why are you not doing that? I just want to encourage anybody that hears this. You can do this while raising a family working full-time. You just gotta take the inspiration and do it. Jennifer B.: That’s what I liked. You guys talk a lot about the mindset and the fears. I think that was more my big thing. Getting over that stuff than anything. Jocelyn Sams: That’s one thing that we’ve just really learned through the years of doing this. Usually, things boil down to something that we’re afraid of. Maybe it’s something that we think we can’t do. Or some kind of self-limiting belief is what causes a lot of people’s issues. Jocelyn Sams: Let’s dive into that a little bit. Let’s explore what’s going on with you as far as what is holding you back right now? If you were to look at something and say, “I’m worried about something. Or I’m afraid I can’t do something.” What might that be? Shane Sams: ‘Cause the fears do not go away just because you become successful. In fact, they may get bigger and you just have to keep overcoming that next obstacle. That next fear. That next mindset issue every step of the journey. I don’t want anyone out there to say, “Wow. Shane, Jocelyn and Jennifer have made it. They’re never afraid again.” Right? We all have fears that are holding us back. What’s challenging you right now? 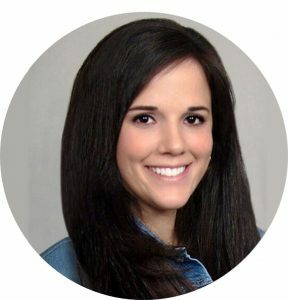 Jennifer B.: I think the fear of overall being judged by selling things or I’m being too pushy and just having that being judged by the speech community. Because it’s a smaller community of professionals. So, I don’t want to have … I’m afraid of getting judged about being that pushy sales person I guess. Jocelyn Sams: I totally understand that. I’ve definitely gone through that as well. I think in the education space especially you can have these types of fears because a lot of people offer things for free because it’s education. You have this mindset that, “Oh, nobody wants to pay for anything.” Things like that. Would you say that that is part of it? Jennifer B.: Yes. Definitely part of it. Like I should be giving away things for free instead. Shane Sams: What happens here is it’s a lot like everything else in our society in 2018 basically. The loudest voices come from the fringes. Right? And when you get the person who’s really bitter and is a taker and wants everything free and really doesn’t respect. I find that a lot of people that write us hate mail or something because we charge for our products or something like that, they’re usually coming from a place of disempowerment and they’re really mad and bitter. And they almost feel entitled like someone should either give them everything or maybe they’re just frustrated and they can’t achieve it and they wish they could have it, but they’re not really willing to do what it takes, so they want to complain about it. Right? Shane Sams: What we have found is those loud voices from the fringes are the ones that derail us the hardest. We look at our comments all the time. We look at our Facebook posts. We look at the emails that we receive. 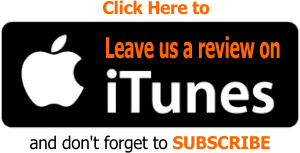 We look at our … Even our reviews on our podcast on iTunes. Probably 1% of them are actually complaining or actually negative. But they are so loud and so mean that they just override … You have 300 and something people paying you money every month without complaining. But that one comment on the webinar in the chat box … wants to make you just bash your head through the wall. Jocelyn Sams: And find value in it. Shane Sams: And find value in it. And not only that, have found a way to believe in themself enough to bet on their own life. To bet on their own future with their money and their time. Those are the people we’ve got to really focus on. Because if we focus on the bad people that are judging us, how can we help the good people that aren’t? Shane Sams: We struggled through this when we were about to host our live event. We were like, “Who are we to host a live event? Everybody else goes and speaks at live events. You have 10 speakers on stage. We were like, “No, we’re gonna host our own. We’re gonna speak on stage for two straight days and interact with over 100 people. That’s what we’re gonna do.” We had some negative comments. We had some negative things that we had to deal with. But look at all the good that came out of that live event. Just for you and for other people. If we listened to those negative voices, then we don’t get to help all the people that really need it. Jennifer B.: Yeah. That makes sense. Yes. Jocelyn Sams: Sometimes it’s hard to listen to that voice. Especially when you have these people who are saying, “Oh, well, your product’s too expensive.” Or, “I don’t want to join your membership because it should be free. I can get better stuff like this for free.” Well, you know what? That’s fine. They’re not your people. Shane Sams: Go do it, dude. Jocelyn Sams: Go for it. Do it. Spend your time looking for it. It is out there. But if you want to spend your time and effort doing it, then you’re not my customer. I think that it just takes a little bit of time just to get used to the idea. It used to bother me a lot more than it does now. When somebody would be super negative or say something that just bothered me or whatever. It doesn’t bother me as much anymore. I think just being okay with everything not being perfect. Shane Sams: And also too, Jocelyn and I are bothered by hate in different ways. I really bow up and want to fight them. I write them back sometimes and I’m, “Bring it. Let’s go. I’ll joust with you.” And Jocelyn, it gets her really, really down. Like, really, really down and doubting. But it does affect us both really negatively. The biggest thing that we’ve learned over the last couple years is you gotta ignore it. You just gotta ignore it. It’s gonna come. You have to accept it, that it’s gonna happen. And the more you can delete it, the better. Right? Shane Sams: You just gotta let that go. Because, gosh, you just can’t make everybody happy. You know that. You’re selling to schools. Jennifer B.: Mm-hmm. And yeah, I’m like Jocelyn in that it gives me doubts. I’m like, I can’t be scared to do things. You had told me to send out three emails a week and I thought I was gonna get a bunch of hate mail from people. I think I overreacted about that. So, I’m trying to get my head around the fact that I’m just overthinking. Shane Sams: Once you get over the fact that it’s going to happen, that doesn’t really make it easier to deal with, but you can create systems. That’s the real practical thing that we’ve done to shield ourselves from it. It’s really important once you have enough money to get someone to take some of that off of you. You need a customer service person. Or if you have a business partner, like Jocelyn, before we could afford customer service, I would check the messages first to delete the hate mail before Jocelyn saw it because it was such an energy drain on her. Right? Shane Sams: And that’s gonna create more energy drain. Jocelyn Sams: Yeah. “This person’s a jerk, don’t join their community.” You don’t want that to happen either. One of the things that I do to deal with this, especially when I was still answering my own customer service a lot, is I would say, “Okay. Well, what’s the worst thing that can happen? If I send out this email asking people to buy something, what’s the worst thing that can happen?” Well, the worst thing is maybe someone would say, “This is a rip off. It’s way too expensive. And this website is a joke.” Then I would write a little response to that. And it would say something like, “Hey. Thank you for your email. I understand that you think that the product is too expensive. I totally understand. There are lots of free resources available online. Feel free to use those and I appreciate you writing in.” Or whatever. That way, my mind had already dealt with it. Shane Sams: It’s a canned response. Sends the same thing back to everybody, so she doesn’t have to waste any energy. But she also feels like she answered the person that was mad at her. Jocelyn Sams: For me, I felt like I was prepared for it that way. And really, I only had to send it out one or two times. In my head, I’m thinking I’m gonna get 100 responses that say this and I got two. Shane Sams: Let’s put this in context too because sometimes the criticism that we get is harder than we think it is. Right? What’s the meanest thing anyone’s actually ever said to you in your customer service? What’s the meanest thing that you can remember right now, seriously, that anyone has ever said to you? Shane Sams: It’s like that fear of something that could happen has almost over … You can look back and say, “Literally, that has never happened to me.” My mom, I was sitting there last night at my mom’s house. And it’s almost Halloween when we’re recording this. My mom was like, and God love her, “Now, you’re gonna take the kids’ candy up to the hospital right?” I was like, “Why would I do that?” She goes, “Well, they’ll run that right through the x-ray machine to make sure nobody’s putting razorblades in your Reese’s cups. I said, “Mom. Let’s be honest here. Do you know any human being, in person, that that’s ever happened to?” She said, “Well, no. But I read about it in the paper one time.” Right? We laugh at that. You know what I’m saying? We hear that one thing or we imagine that one scenario and it becomes this overriding thing in our life that we think’s gonna happen and then it’s almost real. And then keeps us from doing something that could cause that. Right? Jennifer B.: Mm-hmm. But yeah, I like that idea to pre-make your emails. I feel like that would make me feel better. Jocelyn Sams: Yes. It’s just one less thing to think about. You just know that if that situation happens, you have a response for it. You don’t even have to think about it. You can just put it outside your mind. Shane Sams: And your brain will deal with it. Jocelyn Sams: One thing to remember is just that people … There’s always gonna be someone who doesn’t like you. If everyone likes you, then you’re probably not polarizing enough. You need to find someway to make it, not controversial, but just let your real personality come out. If you’re not doing that, then people probably aren’t really connecting with you. Shane Sams: That’s an actual email. Jocelyn Sams: Who reads their hate mail on the air? Nowhere but the Flipped Lifestyle podcast. Shane Sams: But that guy sent that around and was so bitter and hateful and he didn’t look up and say, “You know, these guys have 4,000 posts in their success stories forum.” Think about that. He was so blinded by his own bitterness that he just had to be hateful instead of realizing that we had something that could possibly help him. That’s what you’ve got to … Your materials not only are helping teachers have the better work experience, helping them be happy at work, helping them be happy at home because they’re not spending time on lessons, and think about all the kids and people who are gonna be impacted over the years by all the lesson plans that you’re putting out there and everybody out there who’s doing something with their life and putting things out on the internet, you’re bringing value to the world. Never let those negative voices hold you down. Okay? Jocelyn Sams: All right, Jennifer. We’ve talked a little bit about what’s going on inside your head. What can we help you with as far as working on the nuts and bolts of your business to help you move it forward? Jennifer B.: I am the type to see something and want to do it. So, I buy too many courses because I want to prefect this and I want to perfect that. I’m just everywhere with everything and I don’t know where to focus my time. Do I focus my time on blogging more? Do I focus my time on creating ads? Do I focus my time on Instagram or email marketing or … I’m all over the place with what I should do next I guess. Shane Sams: What do you want right now? What do you want to spend your time on and where do you want to go? The easiest thing to do is set a member goal or a money goal. Right? Then how do I get there, or how do I want to get there? What is your next goal right now for you? Jennifer B.: My goal would probably be I would love to have 500 members by the end of the year. Yes, that’s my goal. Shane Sams: We’ve got about two months to get there. That’s good. Ambitious goals are what you need. You want to stretch. Right? Shane Sams: How do you want to get there? If you said, “Man, any path I pick will work. Anything I do will work because if I put the effort into it and I’ve got a plan, if I execute the plan, it will work. What’s your easiest path mentally to get there? Jennifer B.: Probably for me probably more Facebook ads or Instagram ads ’cause I know them decently. It’s an easier way for me to, I think, to advertise I guess. Jocelyn Sams: Okay. So, really that means that you think that you need to either promote to your current audience or grow your audience. Which one of those would you say is accurate? Or both? Jennifer B.: I think grow my audience. I recently got an email from somebody telling me that she was so excited to join. That I need to promote more because she didn’t know about me. I guess that’s them telling me. I feel like I need to get my name out there a little bit more. Shane Sams: Okay. This is a very similar place that we found ourselves earlier this year. Okay? I just want to go back to what we just said because it’s really important for anybody out there listening about working backwards. You said 500 people. And then we said, “What’s the best way to get there?” You said Facebook ads. Right? And then that led to an anecdote that proved it in your system. You have a person that told you, a customer, that was, “Wow. If I’d known about you sooner, I’d have done this.” And you’ve been in the game a little while, so you’ve got plenty of things that you’ve already done that you can go ahead and promote. It’s not like you’ve gotta reinvent the wheel every day or create new blog posts or create new content. You just have to activate all this amazing stuff you’ve already got. Shane Sams: But working backwards from the goal, your plan is basically, “Okay, I need to get 100 more members. I need to promote my most popular stuff to new people on Facebook.” That’s it. That’s all you have to do for the rest of the year. You don’t have to create anything new. You don’t have to reinvent the wheel. You’ve just gotta go do that. Jocelyn Sams: It may also mean some repurposing. What I mean by that is can you create a short video about one of the things you’ve written a blog post about and post it on YouTube? Shane Sams: Our priority list always goes in this order. We look at every task and we dive down into tasks. Yesterday Jocelyn and I were planning out November and we said, “What is our goal for November?” Well, we have to get our Black Friday sale ready, which we’re gonna be selling our videos from Flip Your Life Live, the video package. We said, “Okay, what do we have to do? What are all the tasks that we have to do to get that done and repurpose that content into a product?” So, we’re wrote down all those tasks. But then we look at those tasks … For us, the next step is for me and Jocelyn is we say, “Okay, who’s gonna do what?” But for you, you’re just like, “What order am I gonna do the tasks.” Right? Shane Sams: But back up a little bit. Before we decided that was the thing we were doing in November, we had four other things that we could do that would do different things. Like making YouTube videos, making podcasts, doing all these things. We always give them little … We draw little icons behind them. We say, “This one would make money immediately. What’s the fastest one to make the most money? This one would keep current customers happy. This one would be promotion. This one would be a process that we could delegate. This one might be something that we have to do on a repeated basis.” The things that do money always win. Shane Sams: When you tell me, “Well should I make more blog posts?” My first question is, does it make you more money? Maybe in the long-term. But you already got blog posts that you can promote. Why not just promote them and send that to your list? Now it’s making money and it’s promotion. You’re ready to go. That’s how you have to look at things. What makes me the most money this quarter. Period. Do that. If everyone just makes that decision, your long-term plans will automatically stack up and work in your favor because you’re making money as you go. Jocelyn Sams: And be decisive. Usually the reason that people bounce around from course to course or community to community is because they’re not really decisive on what they want. Truth be told, they don’t really believe in themselves to do whatever it is that they’ve set out to do, so they think, “Oh, well, if I just take this ads course, this is gonna solve all my problems.” No. You already have everything that you need to be successful. Stop hiding behind courses and do the work. Jennifer B.: I have like 10. Shane Sams: This was $1,000 too by the way. This was not a cheap course. Jocelyn Sams: Nothing against this particular program or this particular person. I don’t know anything about them. But I’m like, “No.” This person has probably taken 100 courses. They have implemented some things, but I’m like, “You already have all the knowledge, all the information that you need. It’s right there. You don’t need another course. Stop hiding behind courses.” Anyway, that’s what I’m trying to say is that you already have everything you need. If you are not taking action, you need to do a little bit of internal work. What is stopping you? What is making you think you can’t do it? There’s something inside that’s making you want to take another path or basically just delay the inevitable. Stop delaying it. Get the work done. Shane Sams: This worked. This worked. Why would I not just do it over and over. And I get the feeling that you’re like me. Sometimes we get bored with the, with what’s working. Shane Sams: But just do it. Just keep doing that. Keep shooting free throws and keep scoring points. Because that’s all you gotta do to win. Jocelyn Sams: Sometimes it’s easier to look for an alternate path than to stay on the path that you’re already one. Jocelyn Sams: And it also requires some work. There’s some brush in the path. You’re gonna have to clear that off. There’s some things that you’re gonna have to do. But if I just find another path, it might be better. Jennifer B.: I think you guys both hit it. I think sometimes my fear of the getting judged thing and not selling I’m like, “Oh, I’ll buy a course to do that. To learn how to do that more.” And then Shane, like you just said, I think sometimes I get bored to. I’m like, “Ooh, this course looks good. I’ll do this.” And I have 10 courses that I haven’t taken yet. Shane Sams: Oh, without question. I buy books all the time and I’ll read a chapter and I’ll get really excited. But then I get bored. I don’t even do what the chapter told me to do. Jocelyn Sams: We seriously probably have over 100 books on our bookshelf. We’ve probably read about half. Shane Sams: The shelf is ending in the middle. Right? And I’m not saying that’s not valuable. We get things out of them. But it’s … I bought this book the other day about YouTube. And I know our YouTube strategy. We have a plan for next year. It’s repurpose it. We have over 1,000 videos of questions we’ve answered over the last few years on online business and we want to roll those out onto YouTube individually. We have a live strategy to answer questions from the community. One a day or one every other day. And then put that question as an answer. We’ll take that answer, give it to the person who asked the question, who’s a member, but then we’ll just do it on YouTube, so it’s more content. Shane Sams: I know this strategy. I know it’ll work. The numbers don’t lie. I’m looking at the stats and I’m like, “Okay, well, we’ll have 1,000 videos by the end of next year. If all those videos are getting 10 views a day, we’re getting 10,000 views a day.” It’s not hard. And then we just pitch something at the end. That’s what we have to do. But I bought this book about YouTube ’cause I’m looking for the magic. When really, the magic is roll up your sleeves and do it and a year from now amazing things will happen. Jocelyn Sams: Imperfect action always beats no action. Shane Sams: That’s right. That’s right. Shane Sams: And the book was so bad. I’m not gonna name names. But this book was, “Start your channel. Create a playlist.” There was nothing. It was supposed to be the best book ever. The reviews. All these experts were on the front saying it was the most important YouTube book that had ever been written. And it was literally like, “Start your YouTube channel.” That’s what the whole book was about. We’re always looking for the magic pill, but the magic pill is us. The magic pill is work. Just gotta do it and grind. I’m gonna help you create a lot of Facebook ads between now and the end of the year. Jennifer B.: I know. The things that you’ve been giving me since I joined your private coaching, I’m like, “This is scaring me.” But it’s all good. Shane Sams: But it’s all worked, right? Shane Sams: It’s all worked so far. Jennifer B.: 100 members in a month. Jocelyn Sams: All right, Jennifer. I’ve really enjoyed our conversation today about just the different fears, mindset issues and trying to move forward in your business. What is one thing that you plan to take action on in the next day or so based on what we’ve talked about here today? Jennifer B.: I am going to do the working backwards thing where I’m gonna figure out how I can get another 120 members by December 31st. The specific tasks that go into that. I know it’s ads, but I gotta figure out my strategy for it. Shane Sams: The most important question in any ad strategy is where you’re sending people. That’s something that me and you can hash out in the private mastermind. What are we going to promote? We’re not gonna promote 40 different things. We’re gonna figure out a good strategy and stick to it and just promote it over time to beat those members out of the bushes. Okay? Shane Sams: All right. What an awesome call, Jennifer. Man, that was just some amazing stuff and you have an amazing goal that’s gonna take you forward. Before we go, Jocelyn and I love to share a bible verse with all of our listeners. We get a lot of our inspiration in business and in life from the Bible and we’re super excited today because Jennifer has a verse that she would like to share with everybody listening to the podcast. Jennifer B.: All right. The one I like is the Proverbs 21:5. It is the plans of the diligent lead to profit as surely as haste leads to poverty. Shane Sams: Ooh. That is deep. Jocelyn Sams: I love it. I think that it really echos what we’ve talked about here today. There is no magic wand, there is no magic pill. If you are going to live the life that we live, you’ve gotta do the work. Shane Sams: That’s such a clear example for all business owners. The plans of the diligent. That means you plan it and then you do the work. Right? But then the plans of the hasty, they’re just trying to look for the magic pill and they fail. What an awesome verse. Listen, thank you for sharing that verse today and thank you just for being so transparent. Coming on the show and sharing what you’re doing and all the members and really being open and honest with your fears. That’s gonna resonate with somebody today. That’s gonna help somebody else move forward in their business. That’s what we’re all about. Throwing that pebble in the pond and letting that ripple out. Thank you Jennifer for sharing your story today. Jennifer B.: Well, thank you guys for having me. This has been amazing. I have some work to do. Jocelyn Sams: All right guys. 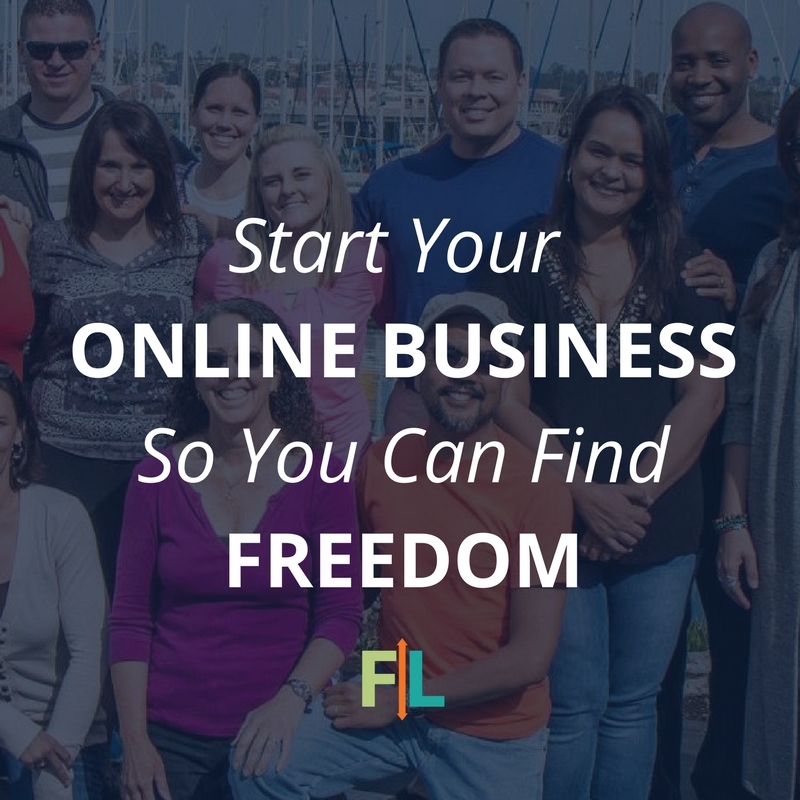 If you need help building your online business, getting those members just like Jennifer did, we would love to have you inside our Flip Your Life community. The first 30 days are totally free and you can learn more at flippedlifestyle.com/free. We hope to see you inside the community real soon. Shane Sams: All right guys, that is all the time that we have today. Thank you so much for tuning in to the Flipped Lifestyle podcast. We will see you next time. Between now and then, get out there and do whatever it takes to flip your life. We’ll see you then.